Miami, FL – May 17, 2017 – Beauty is the goliath $1-trillion market within the $3.7 trillion global wellness industry – a number that speaks volumes about people’s eternal quest to look attractive and youthful. And yet knowledge about beauty’s scientific basis, and its emotional effects on individuals, is a just-emerging area of research. To tackle this fascinating new field of study, the Global Wellness Summit (GWS) today announced that three of the leading experts on the neuroscience of beauty will keynote at the conference being held at The Breakers-Palm Beach in Florida from October 9-11. Dr. Anjan Chatterjee, MD, Elliott Professor of Neurology, The University of Pennsylvania and author of “The Aesthetic Brain: How We Evolved to Desire Beauty and Enjoy Art”;Nancy Etcoff, PhD, Assistant Clinical Professor at Harvard Medical School and author of “Survival of the Prettiest: The Science of Beauty”; and Dr. Lisa Ishii, MD, Chief Quality Officer for Clinical Best Practices at Johns Hopkins Health System, whose research focus is on facial perception, will present the latest findings on how beauty impacts the brain, which should shake up fundamental perceptions about (and within) the beauty industry. 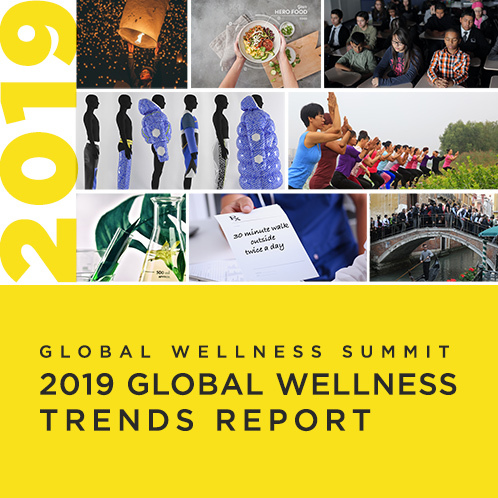 New Study to Be Released: Dr. Chatterjee will present findings from a new two-part research project entitled “Beauty2Wellness”, undertaken in conjunction with the Global Wellness Institute – the initial findings of which will be presented at the Global Wellness Summit. One focus of the study uses natural language processing and cognitive science experiments to identify the concepts that best bridge beauty and wellness, so that they could be practically operationalized: for instance, indicating which marketing terms and concepts would resonate most with consumers. Another focus of the study is to analyze whether biases against people with facial disfigurement occur implicitly, while also pinpointing the range and depth of these biases to understand how to best overcome them. Nancy Etcoff, PhD, is Assistant Clinical Professor at Harvard Medical School, and psychologist at the Massachusetts General Hospital Department of Psychiatry where she directs the Program in Aesthetics and Well Being. She conducts research on the science of happiness, and created the first course ever taught at Harvard in neuroaesthetics. Her book, “Survival of the Prettiest: The Science of Beauty”, has been published in over a dozen languages and is the subject of a Discovery Channel documentary. A provocative inquiry into what we find beautiful in people and why, it skewers the myth that the pursuit of beauty is a learned behavior, an invention of the fashion industry, or a backlash against feminism – it’s in our biology. As the New York Times Book Review noted, it’s “the first book to put all the science on beauty into one lively yet thoughtful package, showing again that it’s not just ax-grinding males who believe that biology continues to play an important role in our lives.” Her work on the brain and beauty has been wide-ranging, including being involved in Dove’s groundbreaking “real beauty” campaign. Dr. Lisa Ishii, MD, MHS, is the Chief Quality Officer for Clinical Best Practices for the Johns Hopkins Health System, and the Senior Medical Director for Clinical Integration in the Office of Johns Hopkins Physicians. A practicing plastic surgeon, her research interests focus on the science of how people perceive beauty, and specifically, on how faces serve as the portal for how we communicate with the world and how the world identifies us.